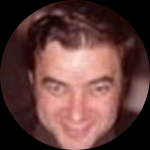 Misha Sobolev is responsible for overall direction of the business, operations and sales at CLOsOnTheMove.com. Previously, Misha Sobolev was Director of Sales at Argyle Executive Forum was responsibilities for sponsorship sales across several event series. Prior to that, Misha worked with Joseph Fedele, Founder and CEO of Freshdirect.com, a $250 million online grocery delivery business in New York. Before that Misha Sobolev had an extensive career in various positions at the Coca-Cola Company. Misha is a graduate of the Harvard Business School. Ilya Ravich is in charge of all information technology aspects at CLOsOnTheMove.com, including databases, servers, and all that magic that happens after you click “next”. 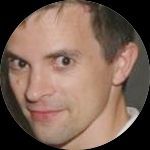 Ilya’s background is mostly in software development, Workflow Systems, IT consulting, and entrepreneurial management. He is a graduate of Wharton and lives in New York City. 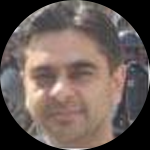 Azhar Basit is the head of the research effort at CLOsOnTheMove.com, including managing on-site and off-site researches, tracking RSS feeds and subscriptions to numerous databases. He is making sure that the information that we provide to our clients is fresh and relevant. Azhar Basit has a BS and MS in Electrical Engineering from University of Pennsylvania, an Ivy League University. Azhar has extensive experience in commercial grade software development as well as leading development teams. He has worked over 12 years in various firms including First Data and Nationwide Financials. He also has multi-national experience having worked abroad in the outsourcing offices of US based companies such as Techlogix and Palmchip. Azhar's last position was as Director Technology for an overseas startup firm, Mobex Limited. 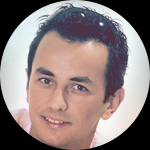 Ivo Ivanov is the UI & UX designer at CLOsOnTheMove.com. Since 2009 he has worked on over 500 websites, online stores, web apps, mobile apps and some more complicated platforms with hundreds of people from Europe, North America, South America, Australia, Asia and Africa. Trusted by some of world's leading online marketers, he has that real passion to make the things simply pixel-perfect.